PLUSCO 611 & 612 Hydraulic Fluid Conditioner & Sealant Made With PLUSLON®. PLUSCO 611 & 612 are hydraulic fluid sealants and conditioners. It is designed as an additive for hydraulic systems to seal leaks, provide residual lubrication, reduce Said heat and increases efficiency of system. 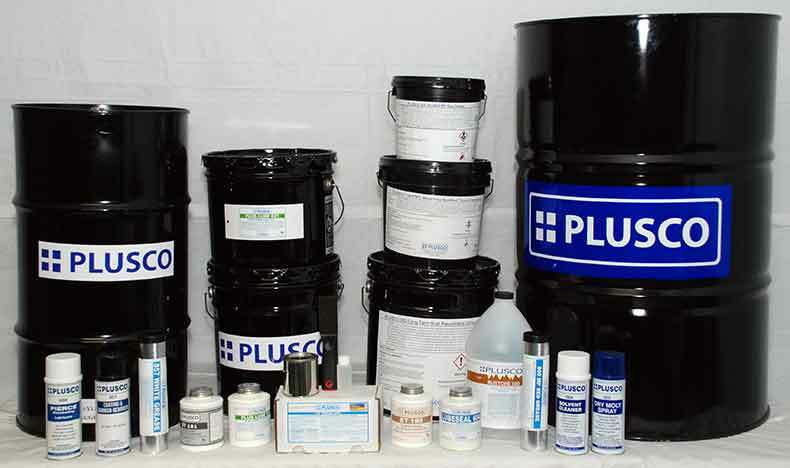 PLUSCO 611 & 612 are hydraulic fluid sealants and conditioners. It is designed as an additive for hydraulic systems to seal leaks, provide residual lubrication, reduce Said heat and increases efficiency of system. PLUSCO 611 & 612 are capable of: Seals Leaks , Residual Film Forming Lubrication, and Increased Efficiency. PLUSCO Hydraulic Sealant 611 & 612 is formulated for hydrocarbon systems. PLUSCO Sealant Additive comes in two grades. PLUSCO 611 is recommended for sealing weeping type leaks, while PLUSCO 612 is recommended for sealing pin hole leaks. PLUSCO Hydraulic Sealant 611 & 612 is recommended for all hydrocarbon base hydraulic systems (Petroleum base systems). PLUSCO 611 and 612 are effective on various types of hydraulic systems such as: Fork Lifts, Elevators, Backhoes, Lift Beds, Tractors, Garbage Trucks, Cranes (Cherry Pickers), Hydraulic Jacks, Hydraulic Pressures, Conveying Systems, Machinery Lathes, Flood Gates, Bulldozers, Farm Equipment, Mining Equipment, Logging Equipment, Tongs, Hydraulic Steering Equipment, Hoists, Truck Lifts, Earth Moving Equipments, Forging Presses, and Drilling Equipment.